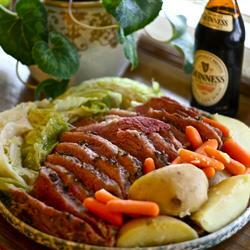 Traditional Corned Beef and Cabbage on Wrappler.com – Click for list! I’m just at work (wrappler.com ), making all sorts of fun, helpful, silly and informational lists. I’ve been working on a food list for St. Patrick’s Day and it struck me that you might like to enjoy it too! There are some vintage recipes included (Traditional Irish ones) but it’s a fun, delicious list that foodies among you may like to browse. CLICK HERE! This entry was posted in Uncategorized and tagged guinness, St Patricks Day recipes, wrappler.com. Bookmark the permalink.